I am known for telling it like it is and the truth is that you can’t succeed without goals, but you need to get them right. The goals should be attainable, stretch you out of your comfort zone, AND be yours. You will never be excited enough about goals that don’t align with what is important to you. So, if goals are so powerful, why are so many people bad at making them and following through? 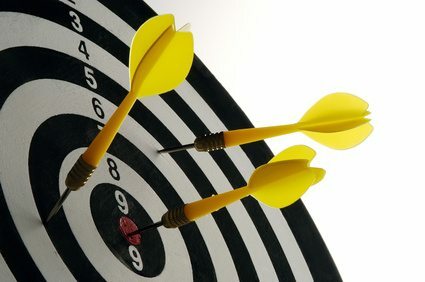 What is your goal setting personality? There are three different types of people when it comes to goal-setting. You might find a clue as to which type of goal setter you are based on how goal setting makes you feel. 1. You are excited about setting new goals but you become easily distracted and discouraged. 2. Your stomach knots up into a dismal little lump of cold gravy when you try to set goals, so you put it off until later. 3. You have iron self-discipline. You set goals, and although it’s not easy, reminding yourself of the benefits helps you achieve them. Since you are reading this blog post, chances are you fall somewhere within categories one and two like most people. Why is goal setting such a chore? Goal-setting ought to be fun. So why isn’t it? Why is it, at best, a chore: And at its worst, wishful thinking—the sort that leaves you feeling defeated in short order? Well it’s because of the misconception that your goal is the end-point of your journey. Very often, what we view as “goals” are actually steps you need to take in order to reach a goal. If you separate your journey into steps, mini-goals and end goals, each big goal feels smaller, more manageable, and more attainable. Mini-goals and steps are the building blocks of belief. The more of these you successfully fulfill, the more easily you can believe-and-achieve your “big” goals. These small successes are the proof you can, indeed, do anything you set your mind to. Steps can become goals in themselves, and achieving mini-goals along the way should be as satisfying as achieving your big main business goal for the year. Here’s an important point to remember, steps and mini-goals are by nature more immediate. This instant gratification provides needed motivation and leaves you less likely to procrastinate and put off starting your journey. Taking it one step at a time will make goal-setting feel more rewarding as you complete each step. Now it is your turn. Leave a comment below and share the mini-goals you will achieve between now and the end of the year.